Parker 1920s Duofold Junior fountain pen. 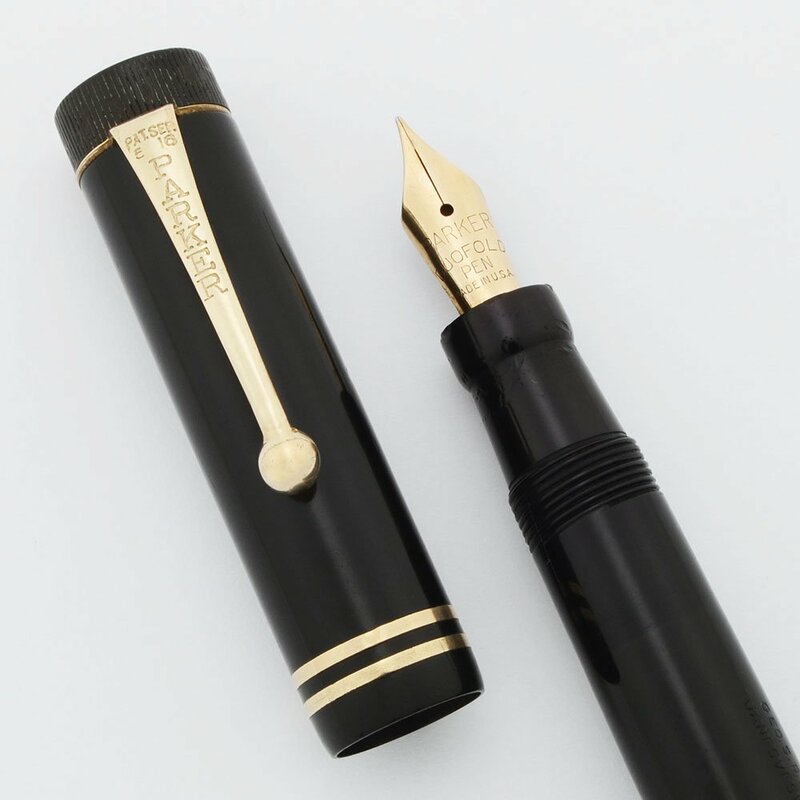 The pen is black with two narrow cap bands. The Parker Duofold nib is fine. Excellent condition, restored and working well. Manufacturer and Year Parker, USA -- 1920s, based off of barrel imprint. Nib Fine Parker Duofold nib. It writes smoothly and is firm. Condition Excellent condition. The pen has no cracks, major scratches, or personalization. The trim is great with very little brassing on the clip. The barrel imprint is clear. There are a few marks on the barrel. The section, blind cap, and cap piece all have bite or tool marks. The cap piece and blind cap are lighter than the rest of the pen. The pen is working well.